Brad Kendall was born and raised in the Kansas City area. He went to college at Texas Christian University in Fort Worth, Texas. Brad graduated from TCU in 1987 with a Bachelor of Science. Brad returned to Kansas City and attended law school at the University of Missouri at Kansas City. Brad was a member of Law Review, one of the highest honors of the law school, and was one of a select few Law Review members to be published in the Law Review. In his final year of law school, Brad was selected as the Comment Editor of Law Review. Brad received a Juris Doctorate in 1990. Upon graduation from law school, Brad was selected for a prestigious judicial clerkship with the Honorable Don Kennedy of the Missouri Court of Appeals in Kansas City. Brad assisted Judge Kennedy in writing appellate decisions, which involved researching and writing about complex legal issues in the cases to be decided by the court. That experience gave Brad invaluable insight into the inner workings of the court system, which helped guide his development as a lawyer. 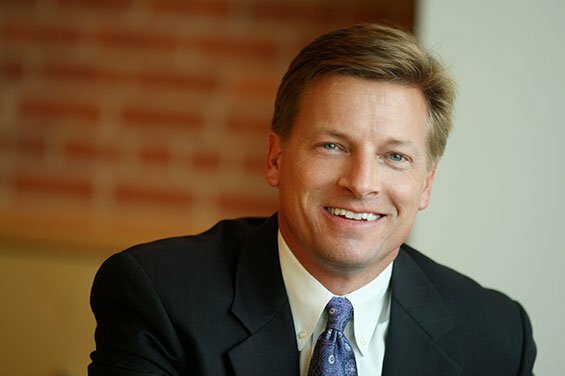 Brad entered private practice in 1991 and has worked as a Kansas City trial attorney handling personal injury and business dispute matters his entire career. In 2013 after more than 20 years as a practicing attorney Brad joined with three other experienced attorneys to form Kenner Nygaard DeMarea Kendall. Brad has tried cases in many different jurisdictions, including Missouri, Kansas, Iowa, Colorado, Arkansas and South Dakota. The results over Brad’s career are a testament to Brad’s unique background and experience. He takes a cerebral and analytical approach honed from his years on Law Review and in his judicial clerkship and combines those skills with over 20 years of first-chair trial experience. Brad has obtained record-setting jury verdicts, including the largest jury verdict ever in Jackson County, Missouri for a FELA (railroad worker injury) case and one of the largest jury verdicts ever obtained in the state of Iowa. He was invited to join the Million Dollar Advocates Forum and the Multi-Million Dollar Advocate Forum. Brad has received an AV rating by Martindale Hubbell Peer Review, the highest possible rating of both competence and ethics. Consistent with that rating, Brad has a reputation for adhering to the highest standards of ethical conduct and professionalism. He was appointed by the Missouri Supreme Court to a committee established to evaluate ethical complaints made against lawyers and has been chairman of that committee for several years. Brad is a member of the Missouri Bar, the Kansas City Metropolitan Bar Association, the Missouri Association of Trial Attorneys and the American Association of Justice. To contact Brad, send him an email at brad@kndklaw.com, or call him at the office, (816) 266-4989.